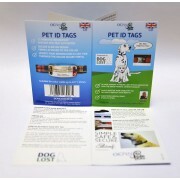 Protect your identity protect your Pet with an OCPIN Pet ID Tag. Made of surgical grade stainless steel the tags are designed.. 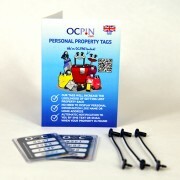 Protect your identity protect your Pet with an OCPIN Pet ID Tag. Made of surgical grade stainless steel the tags a.. 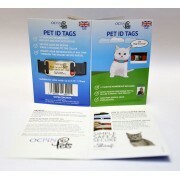 Protect your identity protect your Pet with an OCPIN Pet ID Tag. Made of surgical grade stainless steel the tags are designed to fit securely o.. 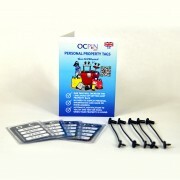 Contains four Owner Contact PIN Premium Tags - four plastic holders for the Tags - five security straps and one year membership registration for .. Contains two Owner Contact PIN Premium Tags - two plastic holders for the Tags - three security straps and one year membership registration for n..